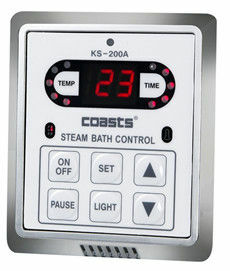 KSA series steam generator is our BEST-SELLER. It is suitable for both residential and commercial use. 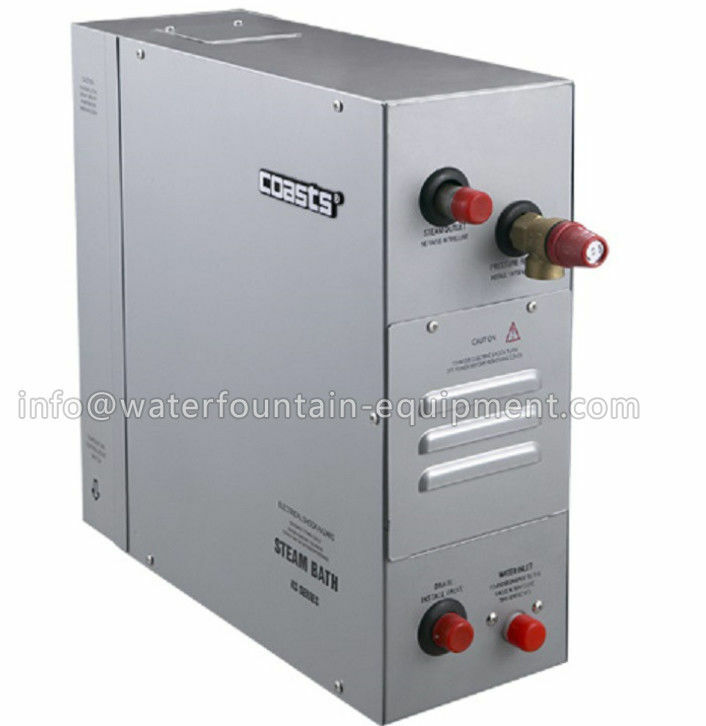 Equip with water-proof tuch panel KS-150. Full set steam include Digital control panel, auto drain system , #304 stainless steel water tank, new safety valve, water-proof connector, new quiet steam nozzle ,temperature sensor and control cable. 2. Unique water level sensor design for large power unit,significantly improved the stability and life of water level sensor,so as prolong the life of the steam generator. 3. Unique step-heating function.The special fuction will make the steam output continuous and stable,also make the unit enery-saving and last longer. 4. Powerful automatic drainage system with manual-drain button, Powerful automatic drainage system could refresh the water inside water tank quikly to keep water clean,reduce the mineral accumulation and so to prolong the life of heating elements. 5. Water-proof connector for control wire and temprature sensor. 6. Use UL cerficated heating elements. 6. 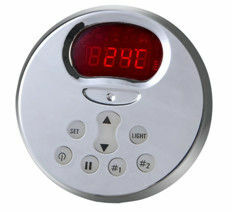 Steam room light control button. 7. Automatic water feed-in and drain control. Notice: KSA steam generator are equiped with auto drain system. 9~12 KW units could be customized to 220~240V on request.